Marketing and PR are important for any business. After all, would you buy a product or service you knew nothing about? Probably not. But billboards, radio ads, and Google AdWords can chew up a balance sheet faster than a cheetah running towards an antelope. What if I told you that there are people out there willing and able to promote your business for free– people who love your brand and already tell family and friends about how happy they are with your offerings? Wouldn’t you want to leverage that free publicity? According to a study by Bazaarvoice, personal recommendations carry far more weight than advertisements. In fact, 84% of millennials (ages 18-33) report that user-generated content has “some” or “a lot” of influence on their purchasing decisions. It’s not just us young people, either. Seventy percent of baby boomers (a.k.a. my mom) reported the same thing. Advertising as a standalone medium just doesn’t cut it anymore. People are reading reviews, checking out social media pages, and taking recommendations from family and friends before buying. I read roughly 30 online reviews before deciding which shampoo to buy. This makes it all the more important to have a stable of real people who want to talk about your brand. Creating an online community of brand ambassadors is as simple as identifying those happy customers and letting them do you a big favor: promote your company to the world through social media posts, blogs, and reviews. This person is not just happy — she’s informed. Best of all, this person is easy to find. Chances are good that you already know these kinds of people – or at least, your social media peeps do. Their names pop up often on your Facebook, Twitter, and LinkedIn pages. They share, hashtag, participate in contests, and endorse like crazy. And if they’re not super active on social media, you’ve exchanged a few emails with them. If you aren’t sure who these people are, let a program do the heavy lifting for you. Social Mentions,Mentions,Sprout Social and other programs exist to provide you with real-time information on who’s talking about your company and what they’re saying. Such programs are the easiest way to find the perfect community of brand ambassadors for your business. Social Mentions shows me that The Augsburg College Enrollment Center has shared our Scholarship on Facebook. Checking Klout scores (a number showing how much influence a user has) can help you whittle the field, too. The average user has a score of about 40. Users with a score of 63 and up are in the top 5%. As you’re finding your people, create a spreadsheet to keep track with different columns. OK, I’ve Got Them! Now … What Do I Do With Them? Once you have a team of happy campers, it’s time to mobilize them. Send a message to your ambassadors– it doesn’t matter if it’s on Twitter, LinkedIn, or through another network, but sending an email is best (check their website for the address). Start by thanking them for their loyalty and letting them know how much you appreciate their consistent feedback. Then, deliver the ask. Thanks so much for sharing our content on Twitter. I love knowing that our customers are looped in to what we’re putting out. I hope you’re finding our resources helpful and I’d love to know what else you’d like to see. I was wondering if you’d be willing to write a short testimonial of your experience at Grasshopper for our website. I’d need 2-3 sentences on how Grasshopper has helped you and your business. You can send it back in a reply to this email. If I can help you and your business in any way, please let me know! It’s important to identify your goals before you reach out to your brand ambassadors. What do you want them to do? Are you looking for them to link to your site, write a review on Yelp, follow your social media posts, or refer you to the world at large? In my example email, I wanted Perry to provide me with a couple sentences to use for our website so we could have more social testimonials online. These tidbits of social proof make it easy to convince prospective customers to join us. In a way, someone like Perry is already doing this kind of work on her own, so it’s probably not a big deal for her to do a little extra. Plus, reaching out to Perry gives me the opportunity to develop a relationship with her– it’s a win for both of us. What Do They Get Out of the Deal? This is a delicate balancing act. You want to make it clear that you’re offering incentives, but you don’t want it to sound like you’re paying for allegiance. For instance, a tech design company could reward their ambassadors with a discounted rate, or a restaurant could offer deals on future meals. Remember, these people already like you and are already talking about you, so give them (literally) something to talk about. And don’t count out the appeal of personal recognition. Feature your top ambassadors of the month prominently on your website. Tell their stories. Don’t just tell them that their time and efforts matter — tell the world! Really, it’s not even about the incentives. After all, they’ve been “promoting” you for free all this time. You’re rewarding them because you want to, not because they’ve demanded it. 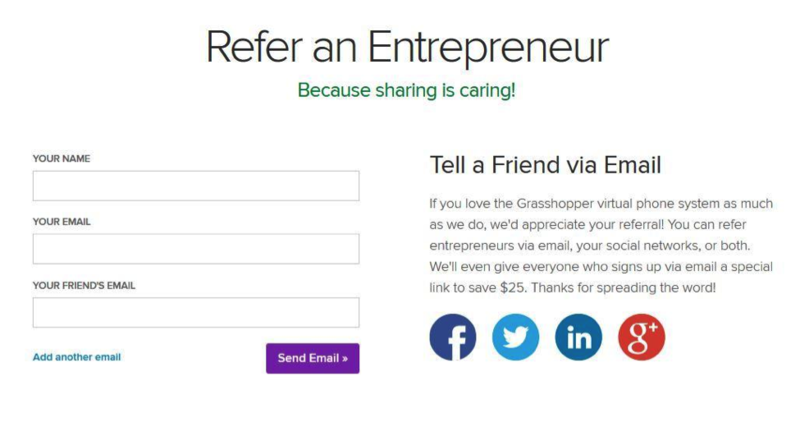 At Grasshopper, we have “Refer an Entrepreneur Program.” It allows our customers to give all of their friends a deal on our services. You can never have too many people spreading the good word, so there’s no magic number of brand ambassadors a company should have. The best thing to do is to take the above process, then rinse and repeat. Before you know it, you’ll have a veritable group of people to talk you up. Your satisfied customers are a testament to your brand’s success. That puts a smile on your face, doesn’t it? 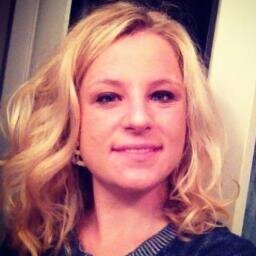 Emma Siemasko is the content marketing specialist at Grasshopper, the entrepreneur’s phone system. She loves providing resources for entrepreneurs and small business owners. She is the author of JUMP: The Ultimate Guide to Starting and Growing a Business.